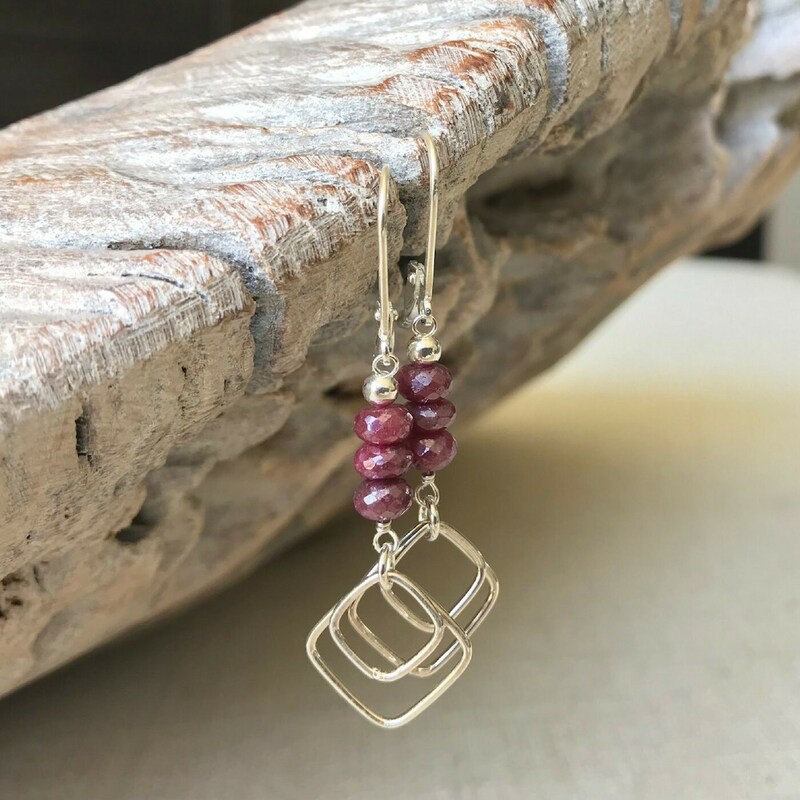 These beautiful sterling silver mystic ruby dangle earrings are long & lightweight. 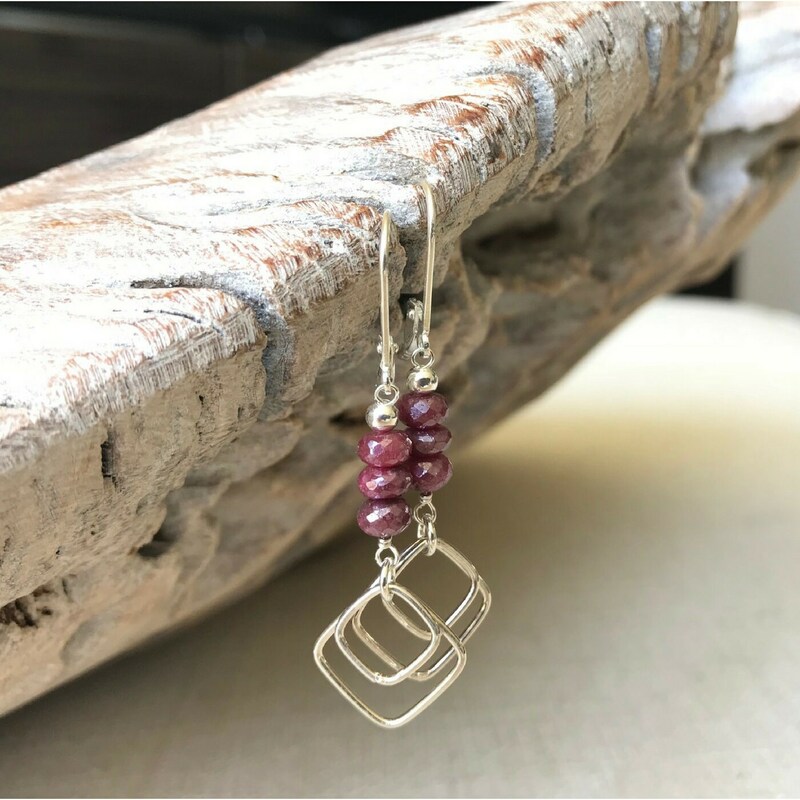 These earrings are a perfect gift for a July birthday girl or perhaps a little something for yourself! 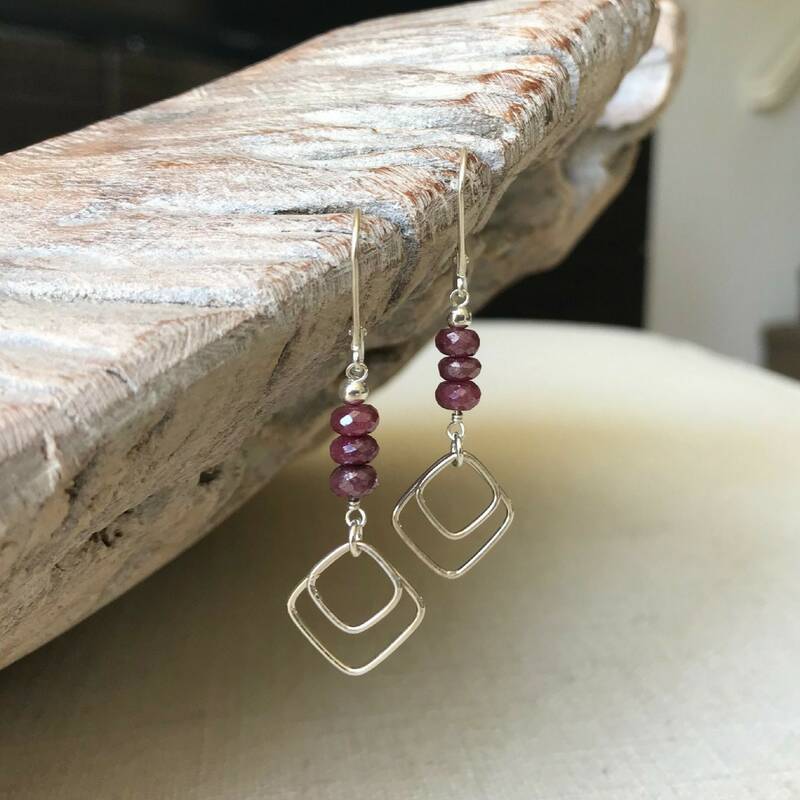 All silver shown is sterling silver. 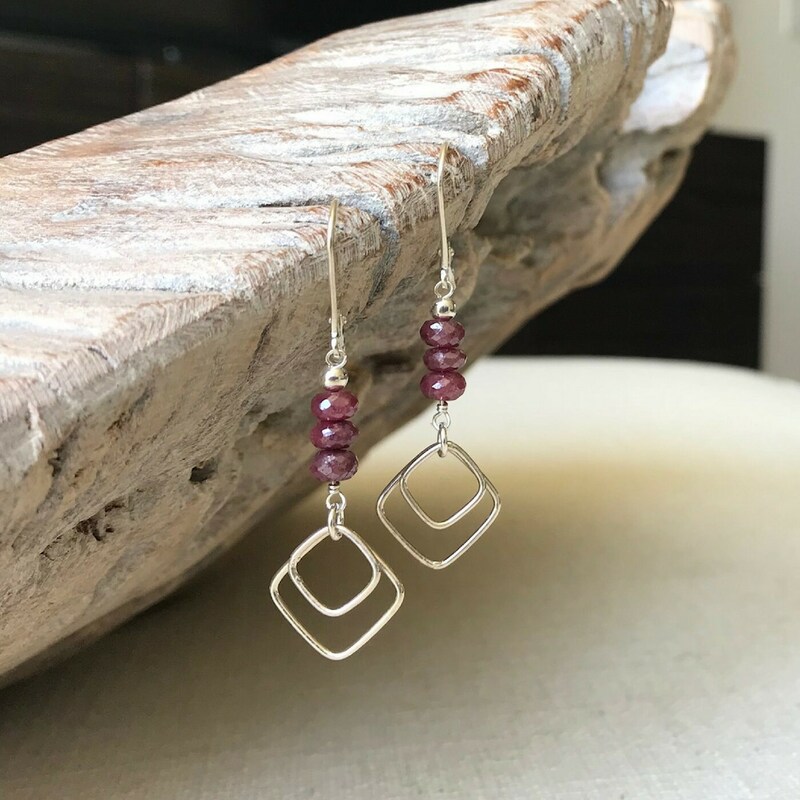 The earrings are approx 2" from end to end. 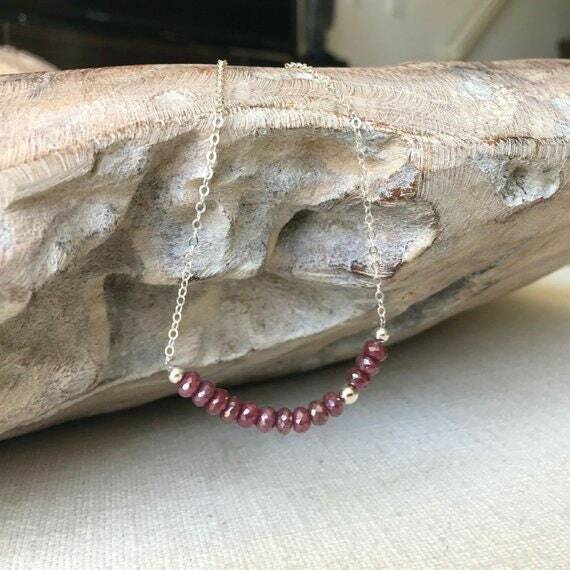 The ruby rondelles are approx 6mm and the little square silver hoops at the bottom are just over 1/2" wide.